If your family refers to you as "love birds", perhaps a love bird theme is appropriate for your wedding as well. After all birds and love birds are all the rage right now. 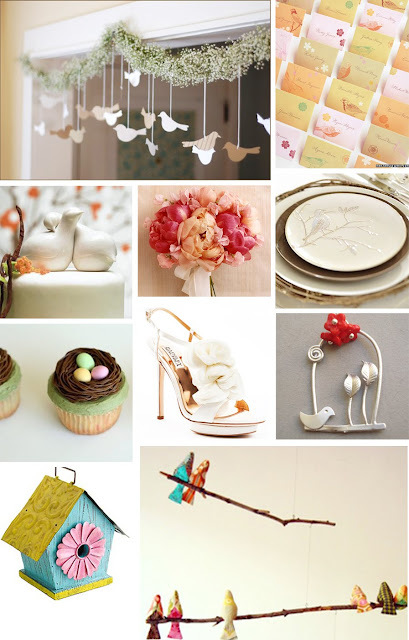 Birds are trendy, tres chic, and very much in style with modern wedding trends. We can see birds and bird logos on everything lately - blogs, textiles, web design, invitations and accessories. So if your looking for a fresh wedding theme which is gaining popularity, love birds certainly fit the bill. For a traditional color palette, try robin's egg blue with white and silver or slate grey accents. Or you can go with the more popular color schemes for 2008 - blue with grass green or blues and reds. For a winter bird wedding theme, red robin with white and either black or brown make a fabulous color combination. 1) With so many invitation companies in the market today, there is a plethora of bird invites out there, with a bit of internet searching you can find the right one for your wedding. 2) Since doves have been considered a traditional favorite for weddings, why not try a dove release instead of tossing rice, birdseed, rose petals or bubbles when you leave the ceremony location? 3) For your reception, decorate with natural objects - trees, topiaries, wooden branches & sticks. You can purchase small birds from craft stores and attach to the trees. 4) To greet your guests at your reception, why not rent love birds to greet your guests with sweet music? Or, you could play a nature inspired CD in the entrance way to reception location as well. 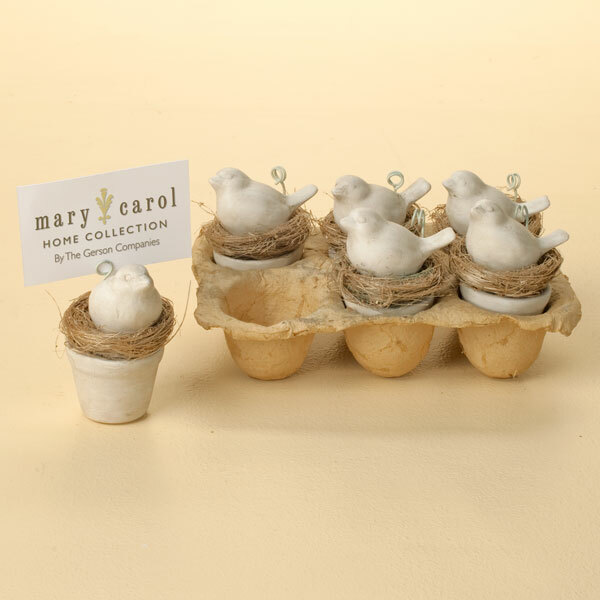 5) For your place cards or seating assignments, purchase mini birds nests and fill them with jordan almonds as "eggs" wrap each one with a pretty slip of paper with your guests' names and table numers. 6) For your guest book table, purchase a feather pen - either a real or faux feather pen or a silver plated pen shaped like a feather. 7) To hold your reception gifts and cards from guests, puchase a birdcage card holder. Or for vintage appeal, try searching in antique stores and re-finish an old birdcage for this purpose. 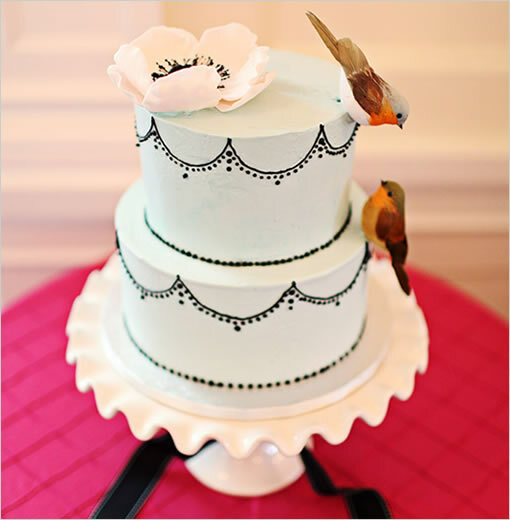 8) For your wedding cake and cake topper, have your baker design a cake with trees, leaves and little birds. Or you can purchase a love bird inspired cake topper. 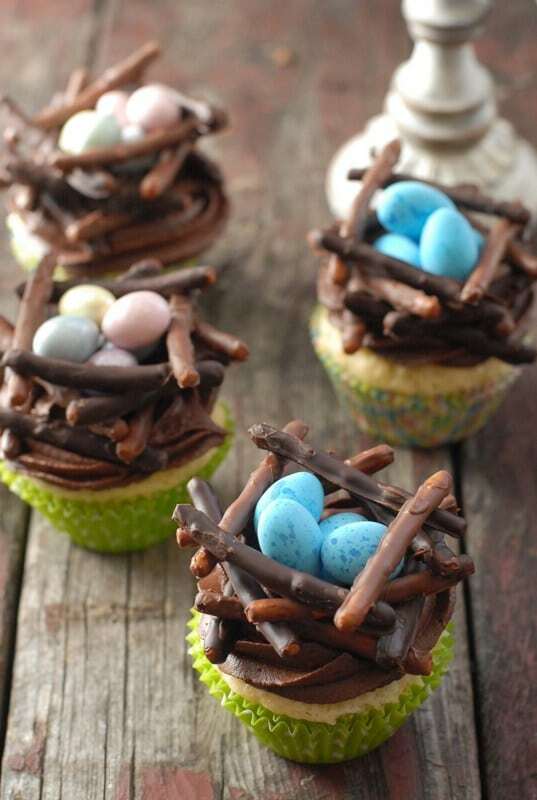 9) Instead of cake, try miniature bird nest cupcakes. Use dainty laser cut cups for the cupcakes, topped with coconut or sprinkles and speckled jelly beans or speckled eggs. 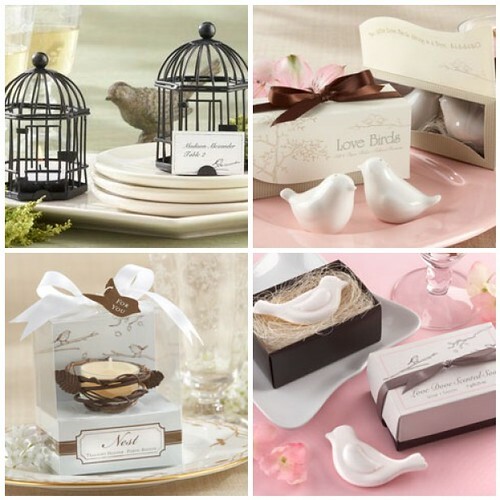 10) Don't forget the wedding favors - monogrammed or personalized bird mint tins, personalized love bird candles, or love nest guests soaps will complete and compliment your theme.